We are launching a 3 month intensive boot camp in East and West Singhbhum Districts in Jharkhand for local micro entrepreneurs and young startups from the tribal community through #TSFE - The School for Entrepreneurs www.tsfe.in launch at Jadugoda, East Singbhum, Jharkhand. On 25th March 2019 with the first 10 day boot camp it starts followed by the formal inauguration on the 3rd. of April 2019. Please spread the message below to all who will possibly benefit from it. You are all cordially invited for the inaugural event on the 28th. March 2019 in Jadugoda. Please go to the link here and fill out the detailed form for application to be admitted to TSFE - The School For Entrepreneurs for it's 3 months program starting in April 2019 for "Entrepreneur in Residence"
We are launching a business model competition in April 2019 for which we will reach out to 500+ tribal youth and prospective entrepreneurs, pick up 100 best from them, train them strongly for 10 days in 4 batches across East and West Singbhum in Jadugoda, Ghatshila, Chaibasa and Chakradharpur. Make them work on a business model plan and make them compete in a competition and we will pick the first 20 to go through the 2 year program of #TSFE - The School For Entrepreneurs www.tsfe.in which we are setting up in Jadugoda, East Singhbhum, Jharkhand for micro Entrepreneurs and startups, which will kick start on 20th. 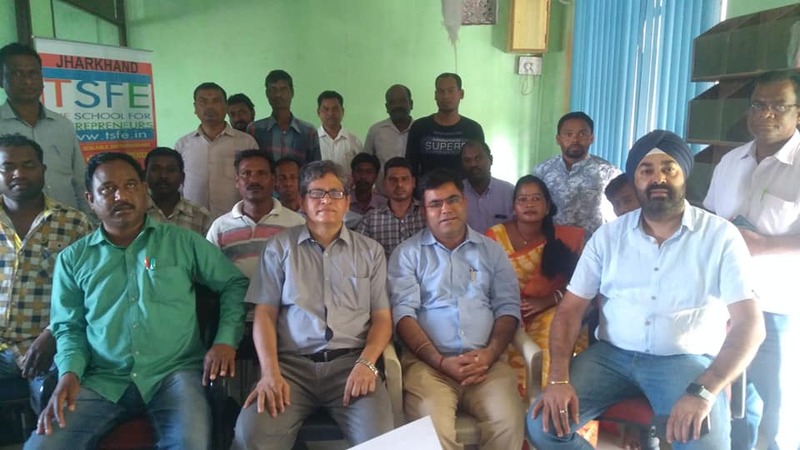 of March in Jadugoda, East Singhbhum with the first two cohorts of 25 micro entrepreneurs to have the first 10 days boot camp in Jadugoda and Ghatshila. Supported by Dept. of MSME Govt. Of India. The first 10 days entrepreneurship training program is free and a certificate will be provided by the MSME Dept. Govt. Of India.